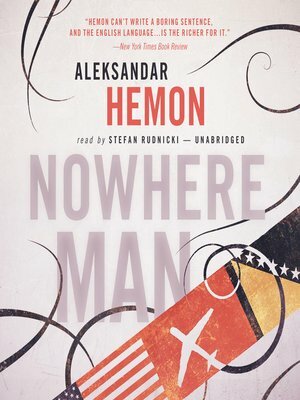 Aleksandar Hemon, author of The Question of Bruno, one of the most celebrated debuts in recent American fiction, returns with the mind- and language-bending adventures of his endearing protagonist Jozef Pronek. A native of Sarajevo, where he spends his adolescence trying to become Bosnia's answer to John Lennon, Jozef Pronek comes to the United States in 1992—just in time to watch war break out in his country but too early to be a genuine refugee. Indeed, Jozef's typical answer to inquiries about his origins and ethnicity is, "I am complicated." And so he proves to be—not just to himself, but to the revolving series of shadowy but insightful narrators who chart his progress from Sarajevo to Chicago; from a hilarious encounter with the first President Bush to a somewhat graver meeting with a heavily armed Serb whom he has been hired to serve with court papers. Moving, disquieting, and exhilarating in its virtuosity, Nowhere Man is the kaleidoscopic portrait of a magnetic young man stranded in America by the war in Bosnia.